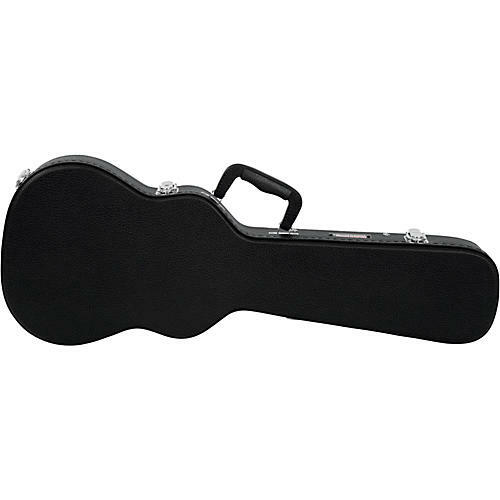 Durable and protective black hardshell case for tenor ukulele. It features a carry handle and locking latches, and prevents damage to your instrument in transport and in storage. Lower Bout Width: 9.5 in. Middle Bout Width: 6.5 in. Upper Bout Width: 7.3 in. Interior Width (Aux): 4 in.